The DVD video, The Flat Lap is a lapidary tutorial featuring Jim Barzee and Jim Kelly. 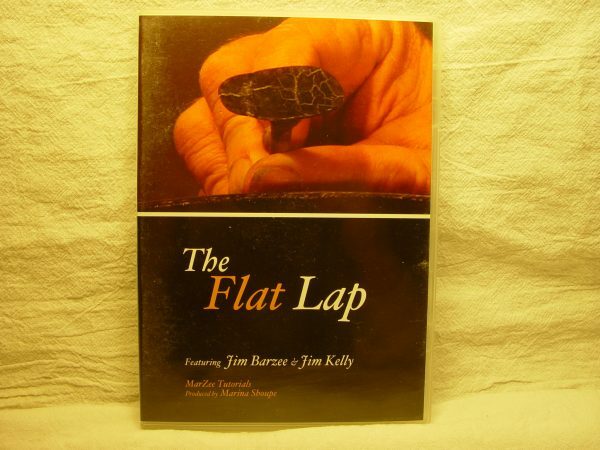 In this video you will be shown, how to flat lap for a couple of bucks, how to use a flat lap machine and it’s parts, how to use the flat lap to address problem areas, how to flat lap and fine polish a cabochon, chalkboard theory with regard to equipment, grinding and polishing, and visual instructional step by step flat lap and summary. So great to see how to make a cabochon in real time and be able to take your time. This is a MarZee Tutorial produced by Marina Shoupe.